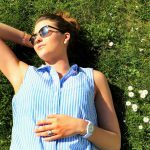 Home » Blog » All » What do skin, hair and nails have in common? Ever wonder why you see combination formulas that are designed to improve not only the skin but also hair and nails? On the surface, it seems like skin, hair and nails don’t have much in common. But they do have a common tie, Keratinocytes. Keratinocytes produce keratin, a type of protein that is a key component in skin, hair and nails. 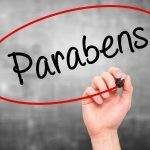 You may find it surprising to know that the keratin that you see in your skin, hair and nails is actually only the dead keratin cells, the living keratin cells are produced inside your body and then push out towards the surface. 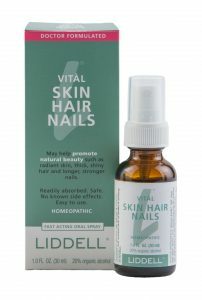 A skin, hair and nails product (such as Liddell’s Skin Hair Nails) is doctor formulated to work at a deeper level, which is where true restoration begins. Skin contains two major structures, the epidermis and the dermis. The dermis is the layer underneath the epidermis and it contains all the blood vessels and nerve endings. The epidermis lies on top of the dermis and is the visible part of your skin. The epidermis is responsible for skin cell regeneration, and keratin production. The dead keratin cells are pushed to the surface of the skin by the new keratin cells being produced underneath. The dead keratin cells act as a waterproof barrier on our skin. But when you are having skin issues such as acne, dryness, itchiness or oiliness it may be an indicator that things are off balance with the keratin production that was occurring deeper in the skin. Hair production starts at the follicle, which is a sheath of cells and connective tissue that surrounds the root of a hair. Hair production occurs in three phases, including growth, cessation (when growth slows to a halt), and rest (when hair falls out). Ever wonder why the hair on your eyebrows does not grow as long as the hair on your head? This is due to their differing growth phases. Eyebrows have a growth phase of only 4 months, while hair on the scalp can take as many as 3 to 4 years. If your eyebrows had longer growth phases, you might end up with long flowing brows! Hair itself is composed only of dead keratin cells, it is the structures at the root of the hair that build the hair. But your hair can only be as healthy as you are. When there are issues like dandruff, changing hair texture, slow growth, oily scalp or itchiness, these can all be signals that there are underlying issues that need to be addressed. Stress and toxicity in the body are both prime causes of hair loss and other hair problems. The growing part of the nail is under the skin at the nail’s proximal end under the skin, which is the only living part of a nail. The visible nail is made up of only the dead keratin cells, but the condition of your nails as they emerge from the proximal end can be an indicator of your overall health. Nails that are unusually discolored, pitted or misshapen can be indicators of serious health problems and may require a visit to your doctor. Once the nail has emerged nothing can be done to fix the nail because the cell structure is not living. You can only repair and strengthen nails at the living proximal end, beneath the skin’s surface. When you want to improve the health of your skin, hair and nails, the main thing to know is it’s a process that cannot be achieved overnight or even in one week- it takes time for healthy keratin cells to begin generating and migrate outward. There is no quick fix, topical products can mask problems, but the problems still remain. The definite advantage to a complete solution (like Skin Hair Nails) is that you are targeting multiple areas at once, and strengthing those areas or maintaining their health from the inside out.